Please call Sharon to confirm availability. We are delighted to honor our troups and look forward to sharing the Holiday Inn experience on Sanibel Island. Contact the resort to see what they have available. They work with the service member to come up with something ideal. 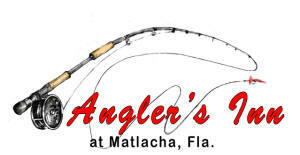 Anglers inn at Matlacha will offer a free 1 to 3 night stay at no charge and a free Kayak trip, which includes an efficiency Apartment, dock use for boating, fishing and kayaking on any available days (excluding holiday weekends). Reservations are required at least 2 weeks in advance of arrival. You must have valid active duty Military ID and DD31 Form. Please contact me directly at 239-765-4111 for reservations and I will be happy to arrange the accommodations. SunStream beach properties will participate in this wonderful program with our “Friends and Family” rate, 50% off published rack rates. However, if there is a good supply of rooms available for the requested dates, the room will be complimentary. 2 room nights per month for months of September through December, not including holidays. Sunday through Thursday night stays only. Based on availability, and must contact Stacey at least 2 weeks in advance to secure room. The Tarpon Lodge will offer a free 1-3 night stay which includes lodging facilities, dock use and full use of the grounds on any available days (excluding holiday weekends). Reservations required at least 2 weeks in advance of arrival. Free 3 nights stay for up to 4 persons per room. Staybridge Suites, Naples is honored to be part of Operation Open Arms. We will extend our employee rate of $39.00 a night. However, if the hotel is not going to sellout the room will be complimentary. Based on availability, please contact me directly at 239-643-8002 for reservations. We are looking forward to welcoming you and your families. Comfort Suites, a very pleasant, rather new establishment in town, is pleased to present a returning service man or woman and guest with a free night. Holiday Inn, an attractive hotel built in the last few years in Chestertown, would like to offer a free night’s lodging to a returning service personnel with guest.